The Avantco C10 pourover coffee brewer is the affordable and durable solution to your coffee needs! Designed for easy use with simple push button operation, this coffee brewer features a separate upper and lower warmer so you can constantly have a pot of hot coffee ready while another is brewing. Coffee is brewed at optimum temperatures between 201 and 205 degrees Fahrenheit. Its external stainless steel construction gives it a sleek appearance and makes it easy to clean. 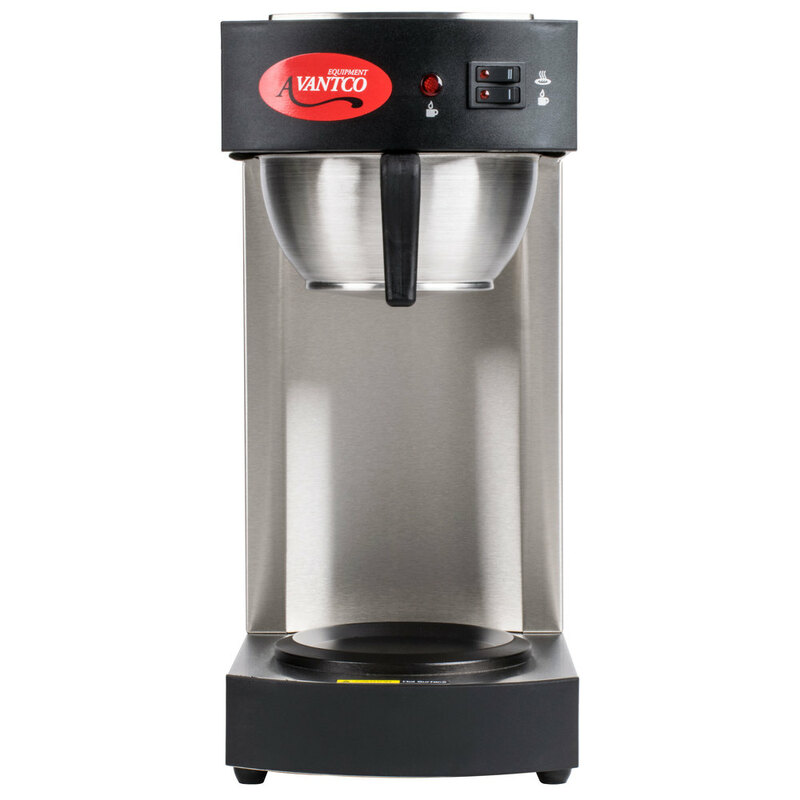 And to ensure you can keep up with busy hours, this compact brewer can produce up to 56 8 oz. cups of coffee per hour. 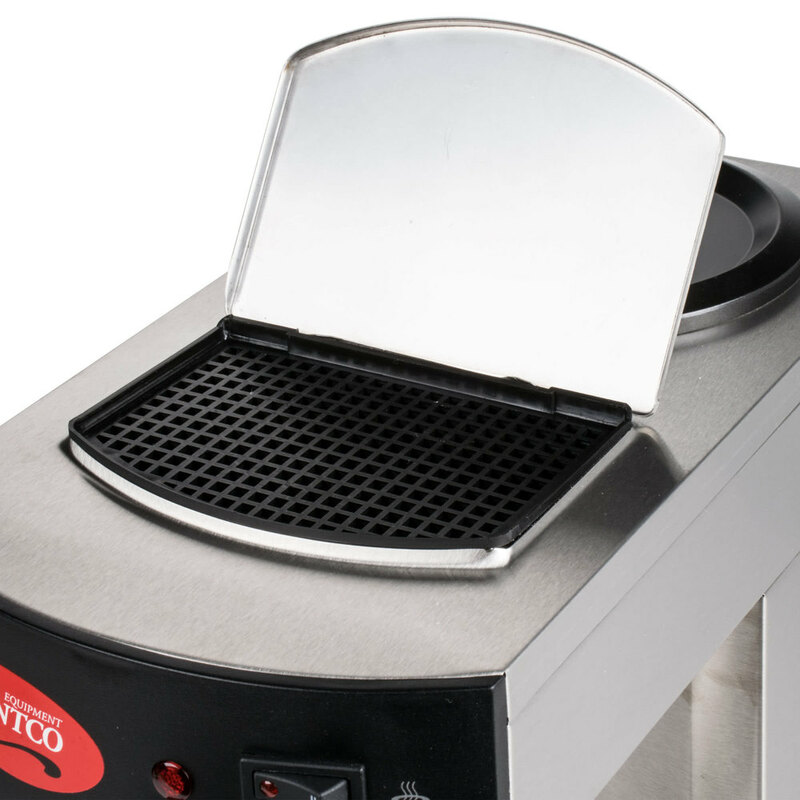 The Avantco C10 pourover coffee brewer requires a 120V electrical connection. No problems. Has worked well for the 6 months we have been using it. We have not had any problems or issues. Will order again when needed. We purchased this for our restaurant when we first opened. You get what you pay for. It looks nice and works for a small restaurant but it is slow and the burners are not the hottest. We would have customers ask us to microwave their coffee. I soon after upgraded to a Bunn and I am much happier. I bought this item 2 month ago. It worked great, but today I tried make coffe and coffe machine didn’t work. I wait about 2 hours, I wrote customer support team and in process our discussion the coffee machine start working. I don’t know what happened, well, see tomorrow. This brews rather quickly. Not too big and the extra heater comes in handy. doesn't take up too much space and easy to clean. Would buy this brand again if I had to. We love it!!! This brew machine is really working well and so easy to clean. You can take one part of inside, so you can clean it up that part to.. usually other brand can not take off the part . This is an ok coffee for the price. It does the job. Nothing special. You pay for the NSF basically. The quality is the mehh. Robert O. from Cinn City Bakery, LLC. We picked this coffee maker over a year ago and I haven't heard any negative feedback from any of the staff that uses it. It simply sits in the lobby for anyone interested in a cup of coffee during our services and serves its purpose well! Works great for our food truck. Doesn't pull too many amps, keeps the coffee hot, and doesn't take up too much space. 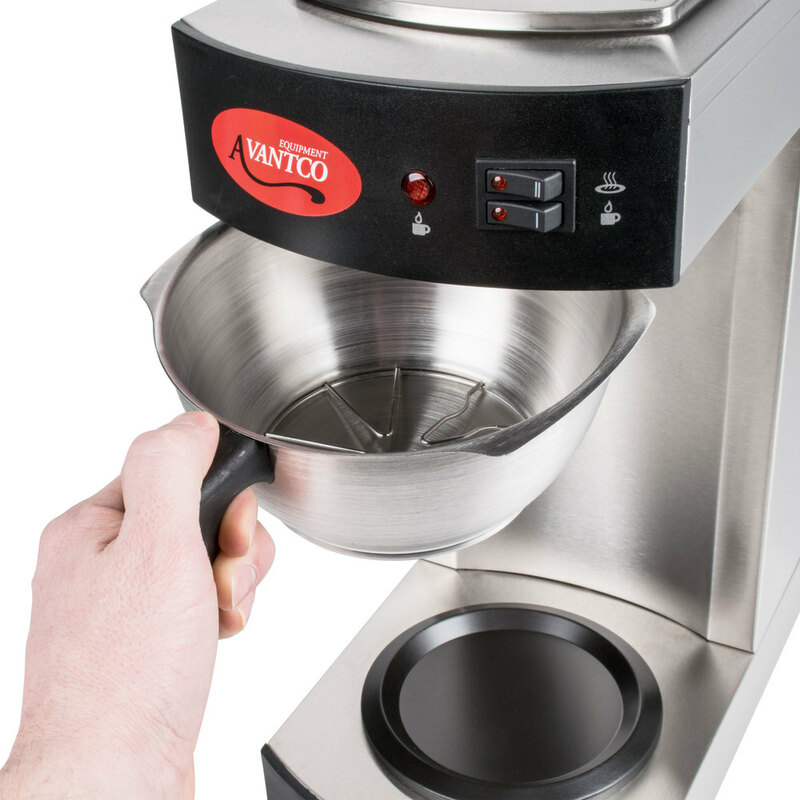 Allows us to brew a fresh pot while still serving from pot on top. Coffee coffee coffee!!! 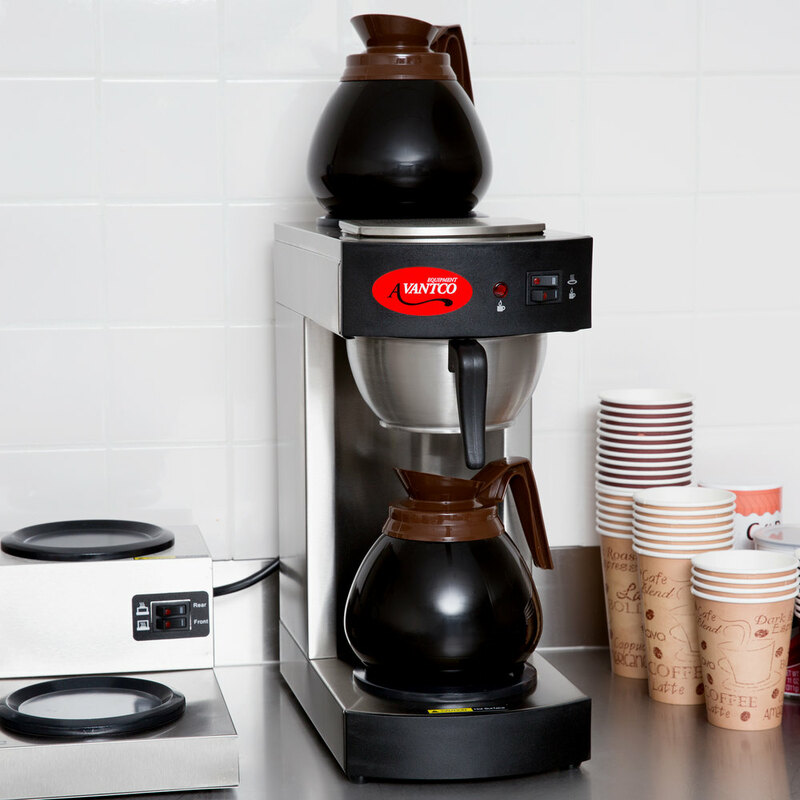 We love these coffee makers and so do our customers. Its one of the fastest selling items on our website. You won't be disappointed. 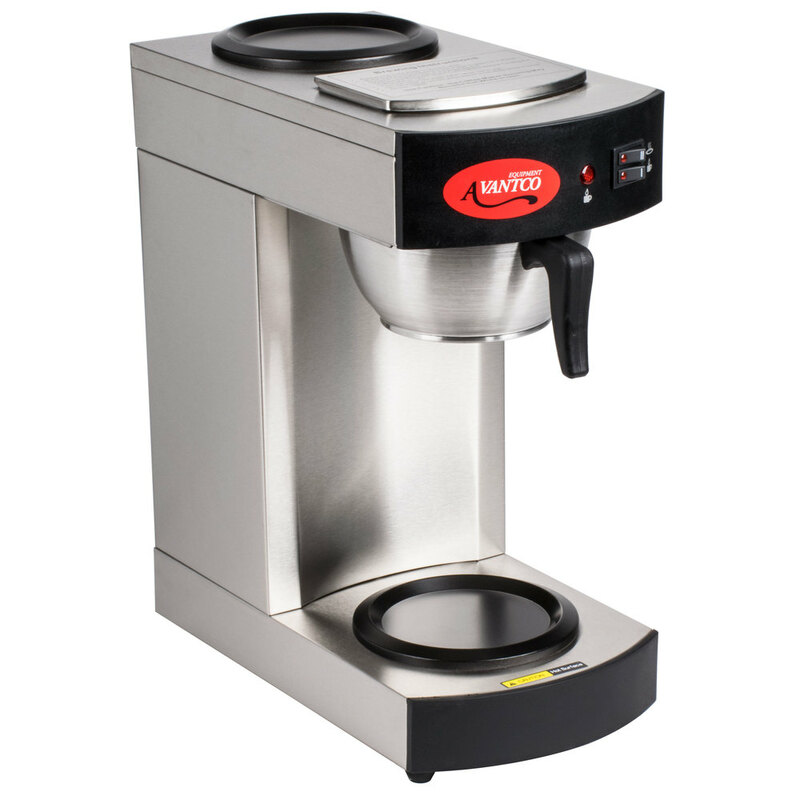 With the cold winters this coffee maker was a perfect option to brew and serve coffee to our customers. It also does double duty to brew tea. I would recommend as a perfect option to brew coffee. Really great compact machine. Brews quick and cleans easy. It would be difficult for me to try an convince someone this is good for a commercial setting. 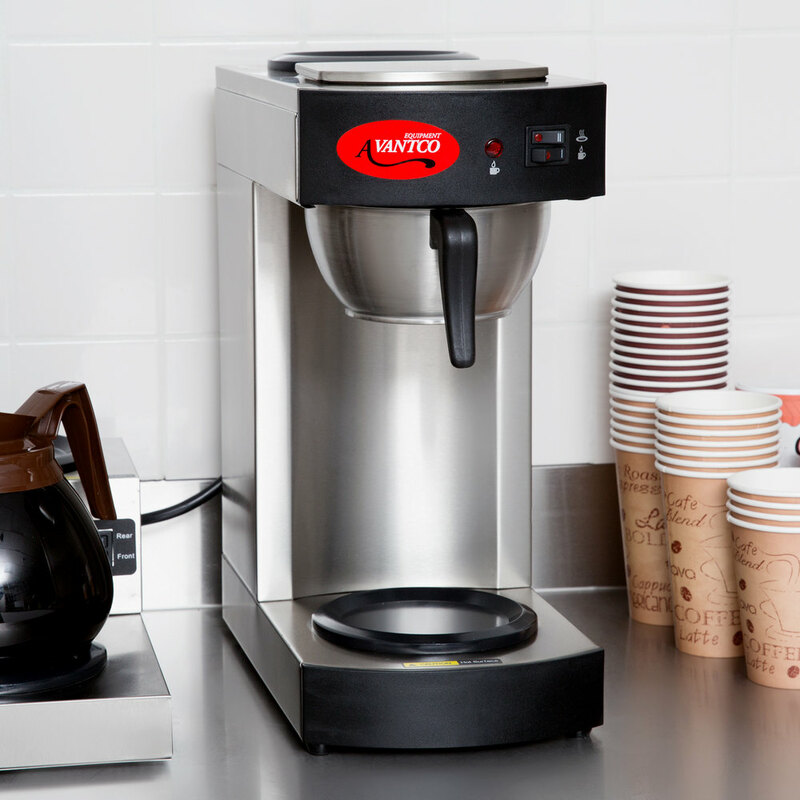 We use it at the "Half-way" house on one of our golf courses to brew coffee, tea and hot coco. That application is perfect but in a fast pace full service it wont be helpful. However, for an office break room it would be great or even residential if you have larger gatherings. I would definitely buy again if a need arises and this is a solution. It is Okay product. There are one issue that i did not like about it. the after you Brew the coffee the pot heater doesn't get hot enough to keep the coffee warm. After 7 years it still is working as good as when I first purchased the unit. The best feature is the coffee will not brew until you turn on the machine. This coffee maker has worked great for us. The basket has quality construction and is easy to clean. Having two warmers is convenient, and the secondary warmer keeps the pot hot enough without burning the coffee in it. The finish of this maker is super easy to clean and always looks good. We wipe down the outside surfaces with a paper towel and window cleaner, and it always looks new. I have been so satisfied with the Avantco C10 coffee maker that I ordered another one for my other location. It has been efficient, easy, and durable. I am very happy with my purchase. I bought this over 3 years ago and it has been amazing! I got sick of buying home quality makers that broke after a few months. I haven't had a single problem with it. It's fairly quick at running a brew. Keeps the pot hot without scorching the coffee. The Avantco coffee maker works great. I have had other commercial coffee makers in the past and this is right up to par. I would definitely recommend this to others. Great 12 cup commercial coffeemaker with two warmers. This is very well-crafted and designed coffee maker. The double burner comes in really handy especially if you're serving a decaf coffee. We love this maker. It makes a great pot of coffee in no time at all and keeps it hot for you. It's very easy to use and looks nice on the counter and cleans easily. This coffee maker brews good coffee and in decent time. We don't find that it keeps the coffee hot enough though, and often have to use the microwave to reheat coffee if it was made a few hours before. This increases the time the customer has to wait, can be a bit embarassing... and is a no-no for some customers who don't want their stuff microwaved! Purchased the coffee maker last year for home use. I wanted a stainless steel coffee pot and found this one after much research on line. It is the best coffee maker that I have ever owned. It feels like I am in a coffee shop every morning. It brews delicious coffee every time. Cleaning is a snap with some lemon juice. I would highly recommend!